NEW!!! IN ORDER TO VIEW OUR NEWLY DESIGNED & UPDATED COURSE REGISTRATION CATALOG, YOU WILL NEED TO CREATE AN ACCOUNT & LOG IN. 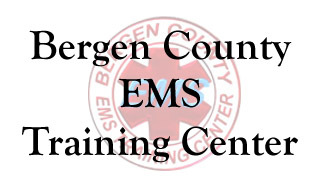 EMS students are trained annually in 3 major programs at the Bergen County EMS Training Center: Emergency Medical Technician, Heavy Rescue and Hazardous Materials. The EMS Training Center in Paramus continues to offer the highest possible level of education and training to the ambulance and rescue community of Bergen County. With the support and encouragement of the Bergen County Board of Chosen Freeholders, the Board of Technical Education initiated the Emergency Medical Services Training Center in February 1976. Without a building of its own, the staff of 9 instructors led by the director, Robert Chais, utilized classroom facilities in the Bergen Technical High Schools. The first class hosted by the EMS Training Center hosted 27 students. By year's end, 323 students had graduated the ambulance certification program being offered at the center. The EMS Training Center Building, dedicated on October 27, 1991, greatly enhanced the capabilities of the program and enables the center to offer higher levels of training to the ambulance and rescue community of Bergen County. The Board of Chosen Freeholders and Board of Technical Education have made a major commitment to Emergency Medical Services training in Bergen County. This modern training center is equipped with the latest in computerization and presentation equipment along with state-of-the-art demonstration and teaching aids. With their continued support, the center has grown to be the largest ambulance and rescue training facility in the Northeast.